From taking a watch straight out of the case to walking out with an armful of $3,000 party gowns, the ever-constant problem of employee theft is motivated by an ever-growing sense of entitlement, as well as a blatant disrespect for the employer and the law. The same practices used in fighting drug dealers apply to tracking down thieves inside the workplace. Professionally conducted interview and interrogation tactics and procedures play a critical role in identifying the prime suspects and solving this costly problem. Corporate theft, occupational crime, dishonesty and workplace deviance are on the rise in the retail industry. Based on research by Martin Investigative Services, the employee theft rate held steadily at 15 percent from 1969 to 2006. This figure skyrocketed during the third quarter of 2006 to an alarming 75 percent. In his article, “Retail Crime Cost U.S. Retailers $41.7 Billion in 2011” published in Retailing Today, Michael Johnsen reported $18.4 billion of this staggering amount was attributed to employee theft. 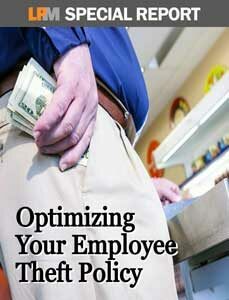 Enter your email and we'll send a link to the Optimizing Your Employee Theft Policy Special Report right to your inbox.